A plush crochet mat is perfect for tummy time for babies. Follow this free crochet pattern to make your own crochet baby play mat in 1 hour. 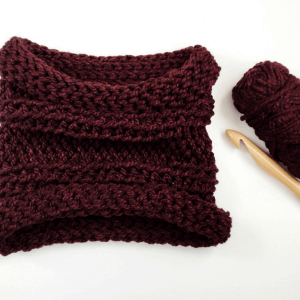 The pattern is easy and great for beginner crocheters. 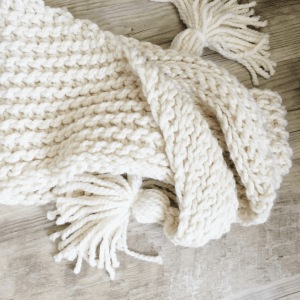 The chunky yarn and large hook make this a great DIY baby gift that doesn't look homemade. I love hardwood floors, but it’s not ideal for a new baby to play and kick around on. I designed this crochet mat for my first nephew. He needed a soft place to have tummy time and I knew this plush chunky yarn would make the perfect play mat. 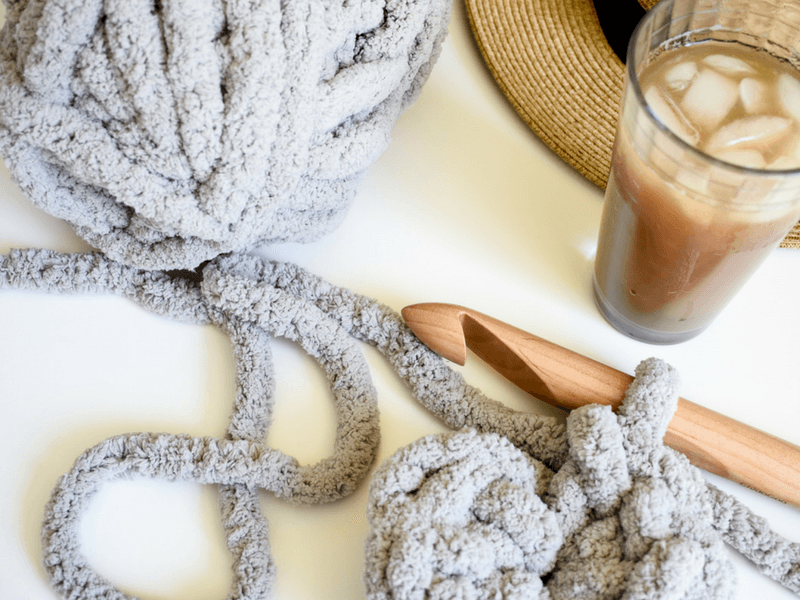 If you’re looking to make a modern crochet play mat you’re in the right place. The full free crochet pattern is below. The play mat is much thicker than a blanket and is so soft and plush. A blanket made with this yarn would be so cozy. I’d compare the texture of this yarn to Bernat Blanket Yarn, but much thicker. Holding 5-6 strands of blanket yarn together would be a good substitute if you can’t find this exact yarn. Four balls of yarn will make a 30” round mat. 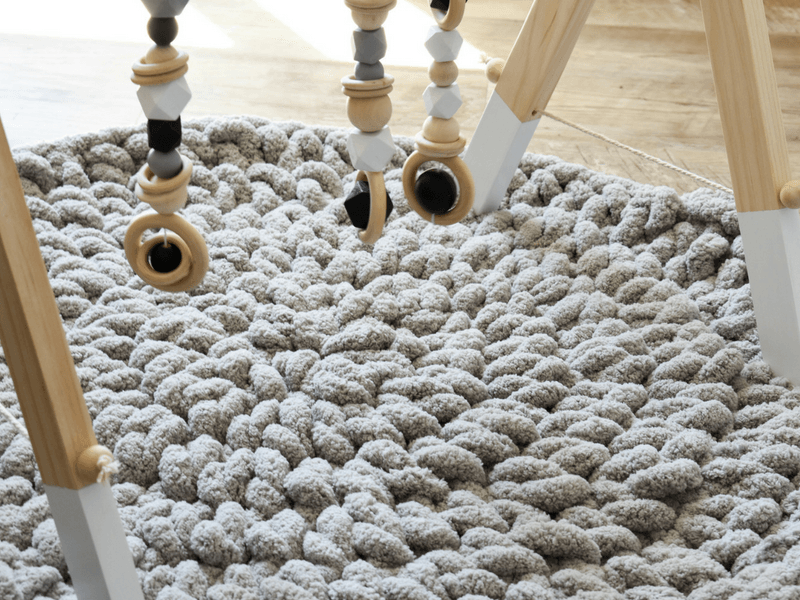 You can easily make a larger crochet rug for older kids too. Just continue adding rounds, don’t forget to increase, until you have the size you need. 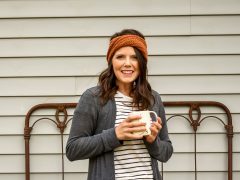 I used this yarn from Hobby Lobby and have also tried the Mainstay Yarn from Walmart. 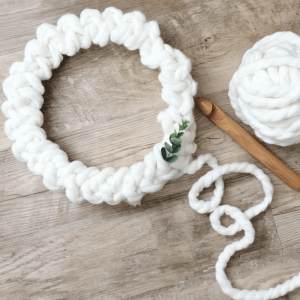 The chunky yarn and jumbo hook make for a quick project and a mini arm workout. You can make one crochet mat in about an hour. Perfect for last minute baby shower gifts. I love a quick crochet project. Here are a few other patterns that use the same giant hook. 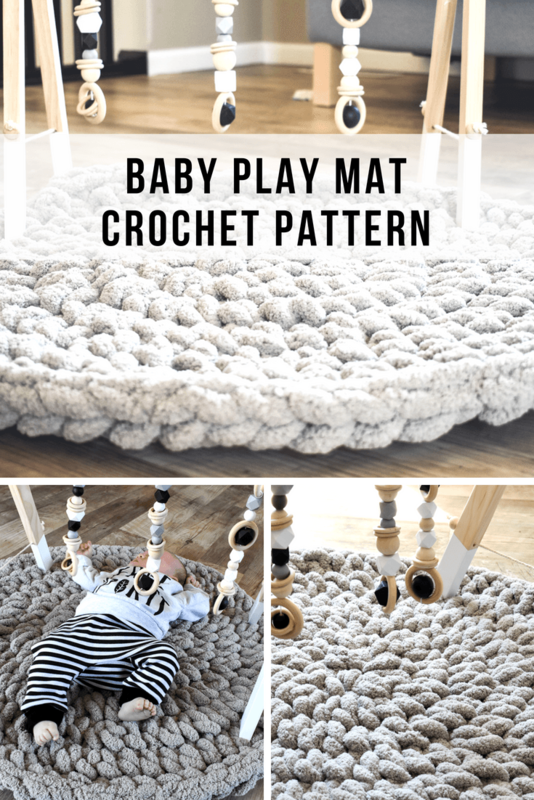 The play mat is crocheted in a continuous spiral. You won’t join at the end of each round or chain at the beginning of each round. Instead, continue crocheting around. Use a stitch marker to keep track of the first stitch of each round. The stitches are large so a regular stitch marker might not fit. I used a contrasting color of yarn instead. 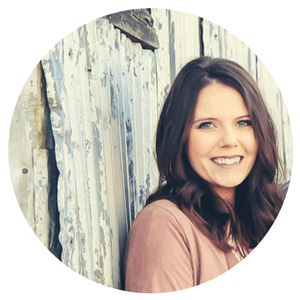 Check out this free guide to crocheting in the round. Sl st into the next st and fasten off. Cut the yarn. Use your fingers to weave in the ends. 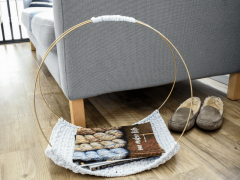 Another great addition to the nursery is this modern magazine rack crochet pattern. It’s always nice to have a good book or your yarn close to the rocking chair for those late night feedings. 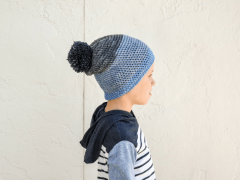 Try out these modern baby crochet patterns next.